FRANKFURT (Bloomberg) -- German business confidence probably fell from a three-year high in September as a global slowdown damped the country’s export-driven recovery. The Ifo institute will say its business climate index, based on a survey of 7,000 executives, eased to 106.4 from 106.7 in August, the highest since June 2007, according to the median of 36 forecasts in Bloomberg News survey. After expanding at the fastest pace in two decades in the second quarter, data show Germany’s economy is losing momentum. Factory orders unexpectedly declined in July and manufacturing activity eased for a second month in September. Even so, the Bundesbank said this week the recovery “remains intact” as companies including truck maker MAN SE raise profit forecasts. Ifo’s measure of executives’ expectations will decline to 104 from 105.2, the survey of economists shows. The gauge of the current situation will probably rise to 108.7 from 108.2. That would be the highest since May 2008. Weaker growth and low inflation in the U.S. prompted the Federal Reserve to signal this week that it may embark on a second wave of unconventional monetary stimulus to support a recovery. Expansion in the world’s largest economy will ease to 2.5 percent next year from 2.7 percent this year, according to another survey of economists. The Bundesbank predicts Germany’s economy, Europe’s largest, will grow 3 percent this year after it expanded 2.2 percent in the second quarter. Bayerische Motoren Werke AG, the world’s largest maker of luxury cars, said on Sep. 16 it plans to add models and start a vehicle-leasing business in China to help boost its presence in the world’s biggest auto market. Car exports from Germany to China tripled in the first half of the year to 128,000, the Federal Statistics Office said on Sep. 21. That exceeds the 122,000 cars shipped to China in 2009. Germany’s strength contrasts with the weakness in some periphery euro-area countries that have been hit by the region’s sovereign debt crisis. Ireland’s economy shrank 1.2 percent in the second quarter, a report showed yesterday. The premium investors demand to hold Irish and Portuguese government bonds over their German equivalents rose to records this week. Even as export growth slows, Germany’s recovery may be bolstered by rising consumer spending. To help fill orders, companies are adding staff. Daimler AG, which raised its 2010 operating forecast on July 27, has taken on 1,800 temporary workers, while Volkswagen AG, Europe’s largest car maker, will offer permanent employment to 400 short- term hires. Unemployment dropped for a 14th month in August, pushing consumer confidence to an 11-month high in September. 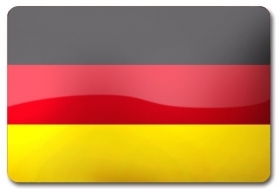 Germany’s HDE retail association yesterday raised its 2010 sales growth forecast to 1.5 percent from zero.